Sylvester Stallone is one busy dude. He's currently working on Creed 2, providing frequent updates from the set on social media and it was just recently announced that Rambo 5 is really happening with a release date set for September of 2019. Now, it has been confirmed that Stallone has officially signed on for the highly anticipated Expendables 4 after months of speculation. Production on Expendables 4 and Rambo 5 are both expected to begin soon, with Expendables 4 filming at the end of this summer, setting up one hell of a busy year for Sylvester Stallone. Sylvester Stallone teased Expendables 4 at the beginning of the year, but there were still some contractual disputes that needed to be settled between himself and Nu Image/Millennium's chairman Avi Lerner. The two obviously settled their differences to get Rambo 5 talks going and now, according to Deadline, Nu Image/Millennium has struck a deal with Chinese exhibition giant Dadi, who have pre-bought mainland China distribution rights to Expendables 4 and Rambo 5. Lerner previously revealed that he and Stallone had agreed on 95 percent of everything, but that the extra 5 percent was going to take a while. Now that Expendables 4 is officially happening, who will be joining up with Sylvester Stallone this time around? Arnold Schwarzenegger expressed interest in 2017, but only if Stallone was happy with the script. However, filming was set to already be underway for the upcoming Terminator 6, which has now been pushed back to this summer, which is when Expendables 4 is expected to begin shooting. There could be a scheduling conflict for Schwarzenegger if both movies plan to start production in a few months. 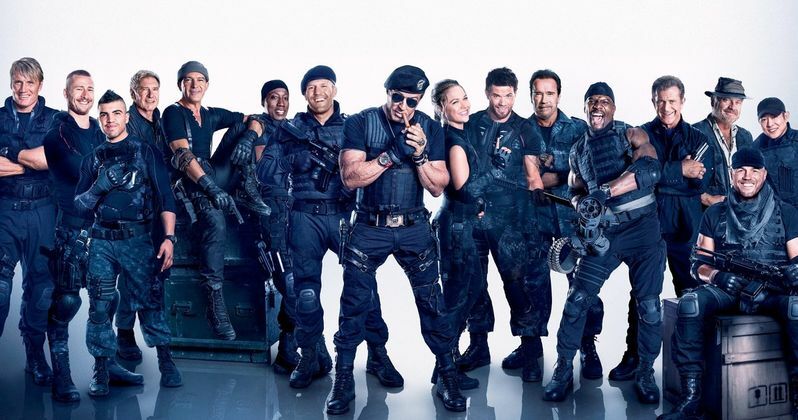 Related: Stallone Exits Expendables 4, What Does This Mean for the Franchise? Jason Statham and Dolph Lundgren will more than likely show up for Expendables 4, which is rumored to start filming in Bulgaria later this summer. Bruce Willis will probably not be coming back to the franchise after a messy falling out with Sylvester Stallone. Wesley Snipes and Jet Li could come back, but nothing has been confirmed at this time. No director has been announced either, which could mean that Stallone is going to helm Expendables 4 while Gregory Poirier writes the script. As previously noted, Creed 2 is still shooting in Philadelphia with production set to wrap soon. That being said, looking at Arnold Schwarzenegger's schedule as well as Sylvester Stallone's, it seems pretty unlikely that Expendables 4 will begin shooting this summer. Instead, early fall seems like a safer bet. Though no release date has been set, Deadline maintains that the 4th installment will be out in early 2019 with Rambo 5 coming in September of 2019. It's a lot to take in, but Sylvester Stallone seems like he's ready to jump back into action in a major way for 2019 and bring The Expendables back together. You can read the original report about Sylvester Stallone officially signing on for Expendables 4 at Deadline.